يقع فندق Avalon Resort، المصمم ليناسب كل الضيوف سواء كانوا من رجال الأعمال أو السياح، في مكان ممتاز في أحد أكثر المناطق تفضيلاً في Kerikeri. إن موقع الفندق الاستراتيجي، الذي يبعد 0.5 km فقط عن مركز المدينة، يسمح للنزلاء بالوصول سريعاً وبسهولة إلى العديد من الوجهات المحلية المثيرة. بالنسبة لمن يريد الخروج، هذه بعض المعالم السياحية المتوفرة للزوار ‪St James Anglican Church‬, كاثي, Bay of Islands Farmers Market. يعمل Avalon Resort على ضمان إقامة مريحة لضيوفه من خلال خدماته الممتازة وحسن ضيافته. يقدم هذا الفندق العديد من الخدمات الكفيلة بإرضاء أكثر الضيوف تطلباً. تتضمن كل غرف النزلاء وسائل الراحة والتسلية المصممة خصيصاً لضمان الراحة القصوى للضيوف. يقدم الفندق العديد من الفرص للاستجمام كمثل كنو, حوض استحمام ساخن, ساونا, مسار جولف - ضمن 3 كم, حمام سباحة خارجي. إن Avalon Resort هو خيار ذكي بالنسبة للمسافرين إلى كيريكيرى، بما يوفره من إقامة هادئة ومرحة. We were quite disappointed in the property because it had a long twisty driveway which we were not aware of before hand. You had to almost be a mountain goat to reach the top of the driveway which was not cental to the town ,site. Our cabin did not have an information book inside and the supplies were very minimal. We were not given any instructions on places to visit etc. Cottages need to have a good spring clean. Beds very comfy and cottages very well appointed. 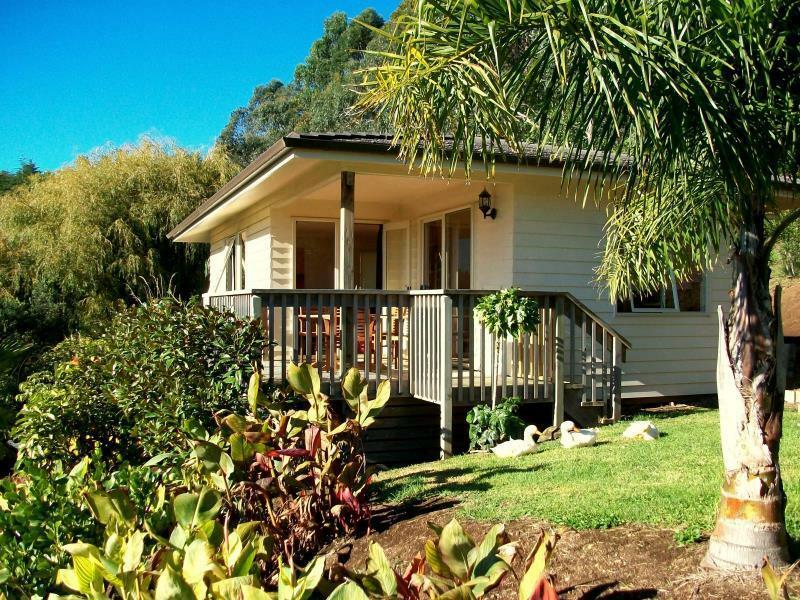 Avalon is a stunning tropical /country style property set near the Kerikeri town centre for convenience. Throroughly enjoyed our relaxing stay here. AWAY FROM MAIN ROAD, OWNERS WERE FANTASTIC HOSTS, LOVELY SURROUNDINGS. OUR STAY WAS FANTASTIC BUT, THERE WERE TWO THINGS THAT WE THOUGHT NEEDED ATTENTION!! FIRSTLY OUR CLEANERS MAY HAVE NEEDED TO SWEEP & MOP A LITTLE MORE, AND WE THOUGHT THE WINDOWS/DOORS DESPERATELY NEEDED MOSQUITO SCREENS FITTED, BECAUSE WE WERE BEEN EATEN ALIVE!! EACH OF THE 12 NIGHTS WE WERE THERE WE HAD TO CLOSE ALL WINDOWS/DOORS WHICH MADE IT EXTREMELY HOT INSIDE EVEN WITH THE STAND-UP FAN RUNNING. OTHERWISE!! A VERY LOVELY RESORT. hello Shane, Thank you for your review. We now have fitted all our rooms with fly screens. Also passed your comments on to the cleaning team! 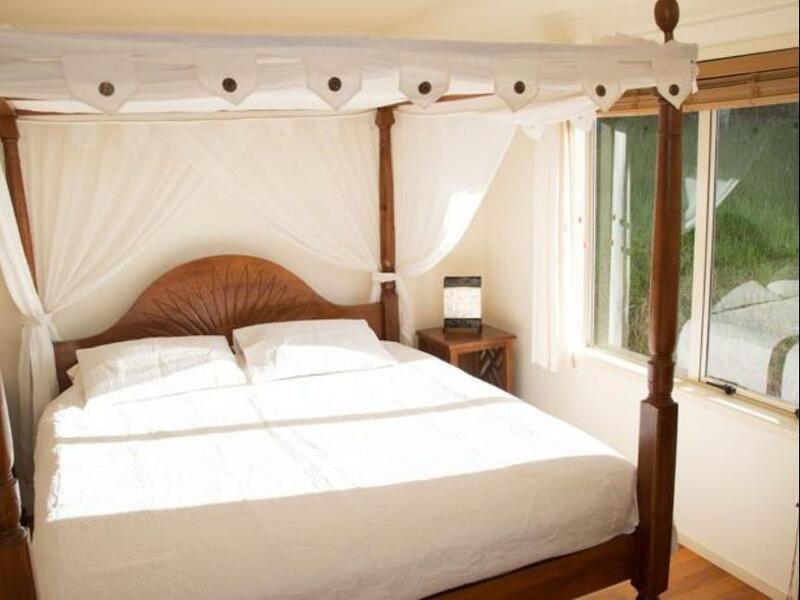 Great location in natural surroundings - beautiful gardens with pools, river etc. and chickens, ducks, pigs, rabbits - enchanting. You need a car to get up and down the steep driveway. Beautiful exotic Indonesian style furniture in cottage however bedding and towels quite ordinary - couldn't be described as 'luxurious'. The staff were very amenable and responsive and fixed any problems immediately. Our one night stay here was most enjoyable. I like how close it is to the city. I like the tranquility. I like how it feels like home not a hotel. Absolutely loved my stay. I felt like I was at home not a hotel. Rooms were very clean and comfortable. It's so quiet and nicely tucked away. 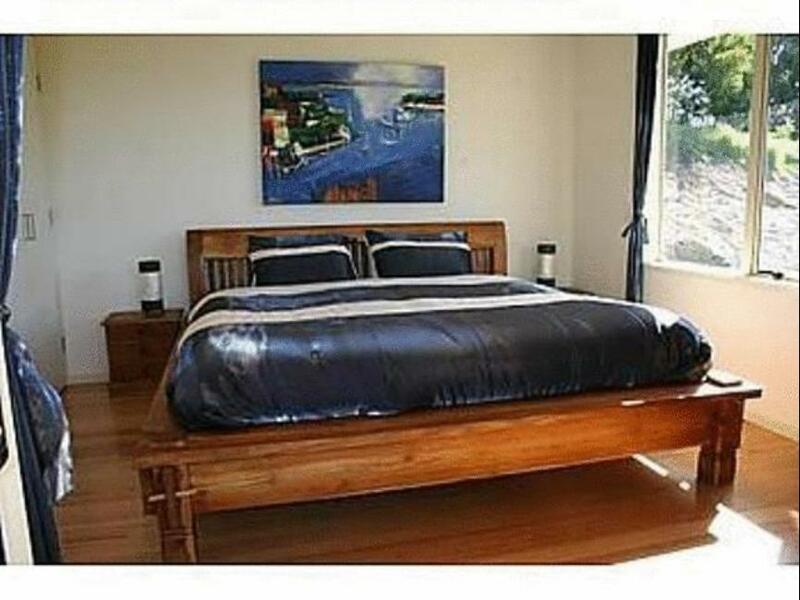 Quality of room furniture and decoration, comfort, friendliness of hosts. 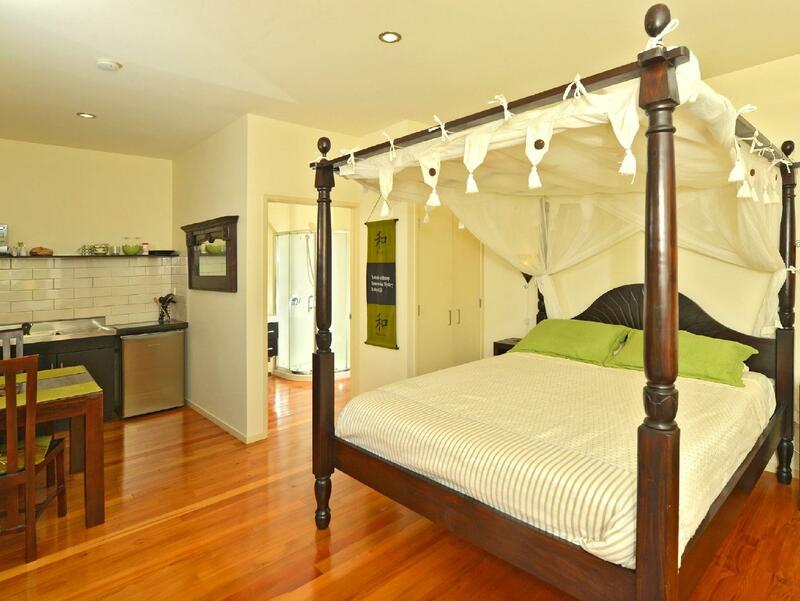 If you owned a cottage in Kerikeri and had money to spend on furnishing it, it could well look like this accommodation. Wim has obviously put thought into the tastefully finished cottages, and hasn't scrimped on quality. He and his family are friendly and helpful hosts. Would love to stay there again. We truly enjoyed our brief stay at Avalon Resort. It was just a pity that we could only stay 1 night and we would have loved to of stayed longer. The cottage was very clean and tidy, peaceful and relaxing. The staff were very friendly and helpful. 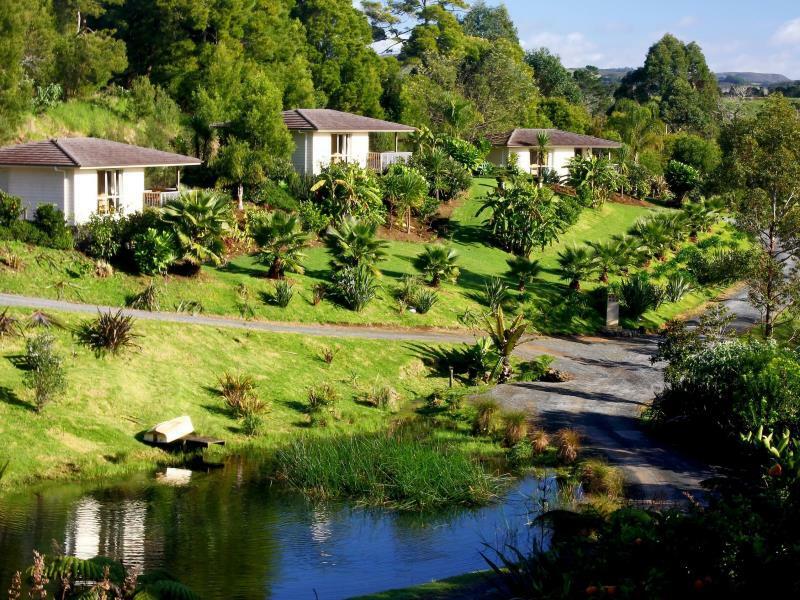 We would definatley recommend this place to stay and should we ever return back to NZ would love to stay there again.